A few months ago I started to use sheet masks. I never knew how great they were until I saw many reviews online, and I knew I just had to try them for myself. I started with The Face Shop masks since they seemed to be pretty popular, and they were an affordable price for a bunch on eBay. I've been using those for the past few months, and I've really liked them. I still have a couple left. I ended up finding the Indeed Laboratories Hydraluron Moisture Boosting Masks at Shoppers Drug Mart on clearance for $5 and REALLY liked those - I still haven't used them all up! Next up! I saw that Renee at See The World in Pink was hosting a Mask Genie 10 Days In The Wild Giveaway - and I entered. Surprisingly, I was one of the two people that won! I was so excited to try these out because they are so cute! I received a whole pouch full of masks! Some of the animals included a cat, a tiger, a dragon, a panda.. and so many others. I've tried a few out so far, and those reviews will go up soon! They sent out 3 masks to those who had applied for the promotion, but weren't chosen. I thought that was amazing and really thoughtful of them to do that! 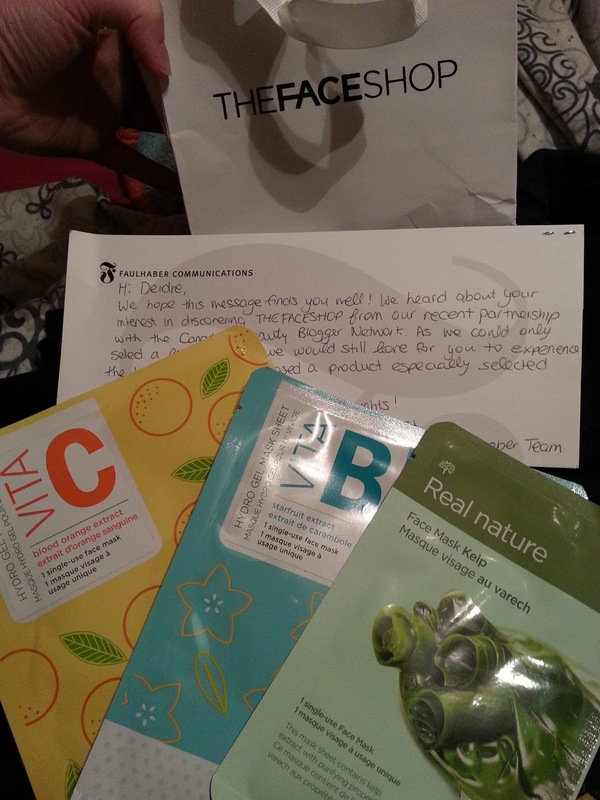 I'm looking forward to try the Vita B and Vita C masks, since I've tried the Kelp mask already in my previous haul. 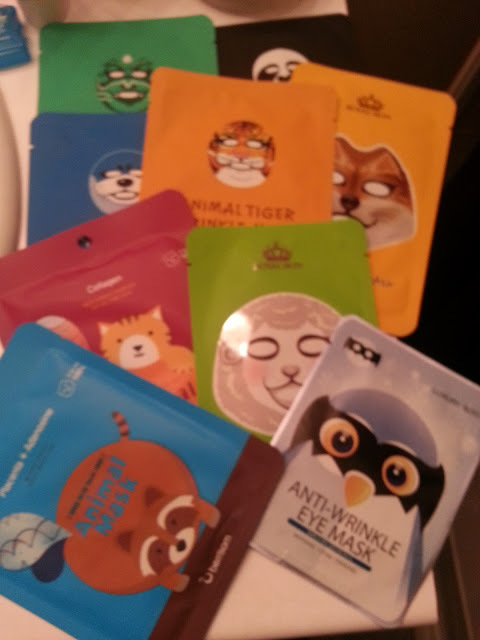 I can't wait to try all of these masks out! Since I've been using them, and incorporating some new products into my skin care routine - my skin has improved a lot. It isn't as dry as it was before, and it actually feels hydrated all of the time, compared to before, it was always feeling tight and dry. I'm so happy! Yay!!! Loved the animal masks - I look forward to the reviews!! And that is awesome about The Face Shop! !